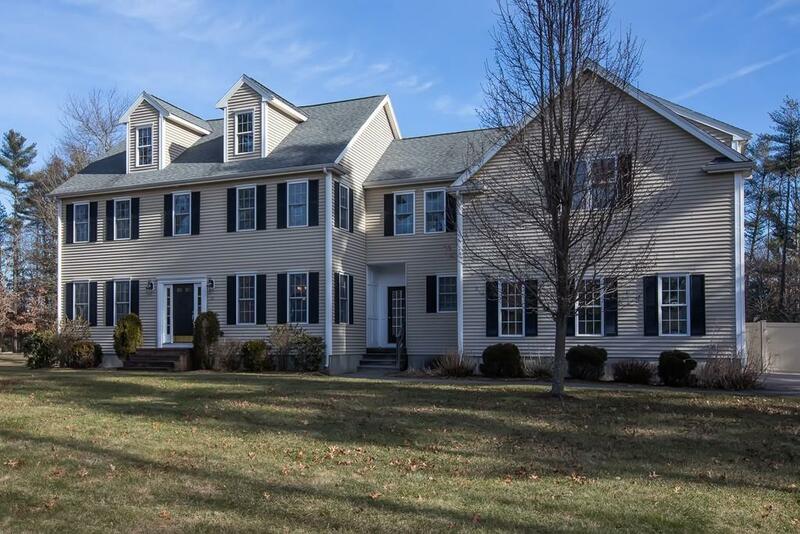 Magnificent and well maintained expansive colonial located in a desirable neighborhood with easy access to commuter rail and Bridgewater State University. The first floor great room with floor to ceiling stone fireplace, cathedral ceiling and over-sized windows, is the perfect spot to relax! There is a fabulous kitchen with unique granite counters, center island and a breakfast nook adjacent to a large deck to enjoy your morning coffee! Life is made much easier with a laundry room and mud room on the first floor as well as a half bath. Like to work from home? Enjoy the perfect home office! Entertain? Your new formal dining room has room for all of your relatives and friends! The second floor includes an expansive master bedroom and three additional large bedrooms, all with private or Jack-and-Jill bathrooms. Estate-sized yard w/privacy. So much more is offered by this wonderful property, but don't take our word for it.....make your appointment and see for yourself!